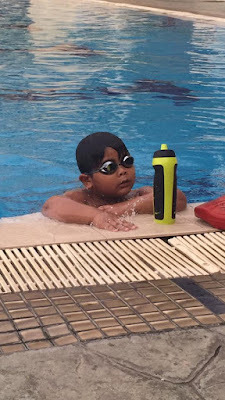 Being one of those Swim Mum (swimming version of Dance Mum) who sits at the pool during Tariq's swimming class together with other Swim Mums, I was able to capture and document Tariq's progress. I recorded the time when Tariq first learn how to do backstrokes. His small hands were not able to stretch at all. When he did the backstrokes, he looked like a little duck flapping je. Really. 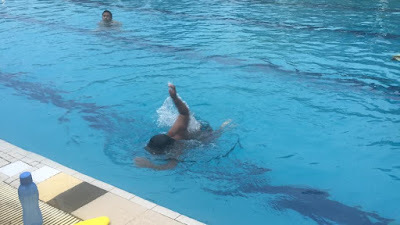 Then three weeks later, thanks to Coach Irene, his backstrokes improved so much using the perfect technique. It is as if his hands suddenly became longer and extended! SubhanAllah, we were so happy when it happened. 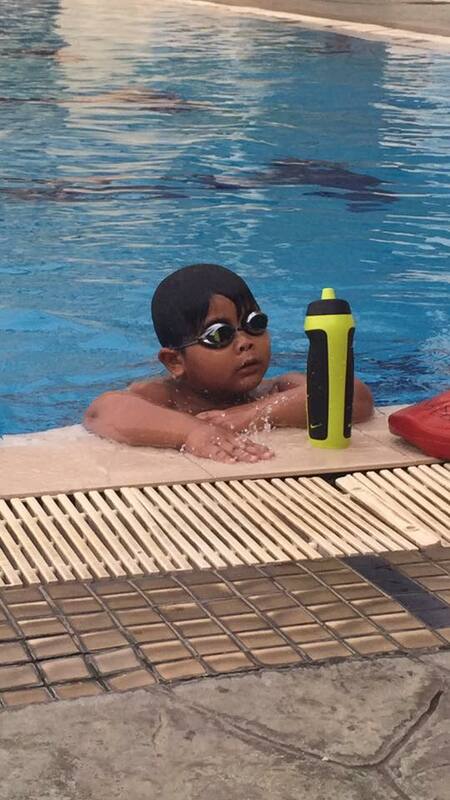 This is one of the lessons from swimming. It makes the child persistent and steadfast. But most of all, it makes a 5 year old child believe in himself. That he can do something if he puts his mind to it and spice it up with effort. InshaAllah!